Arborist services in Auckland delivered by experienced personnel that work safely, effectively & efficiently in all things tree & hedge related! 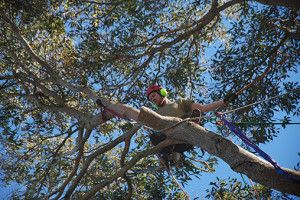 Please note that our qualified Auckland arborist also provide commercial services for all the above. We are specialists in commercial tree removal, stump removal, stump grinding & hedge trimming. Whether you require hedge & tree services for a single property or multiple properties, Waitakere Tree Services can do it all.